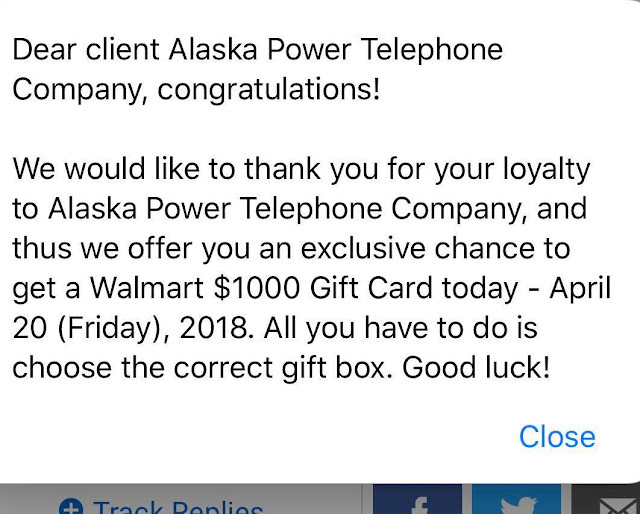 There are reports from Metlakatla that someone is executing a PHISHING SCAM using SMS Text Messaging to people's phones representing themselves as Alaska Power & Telephone CO. 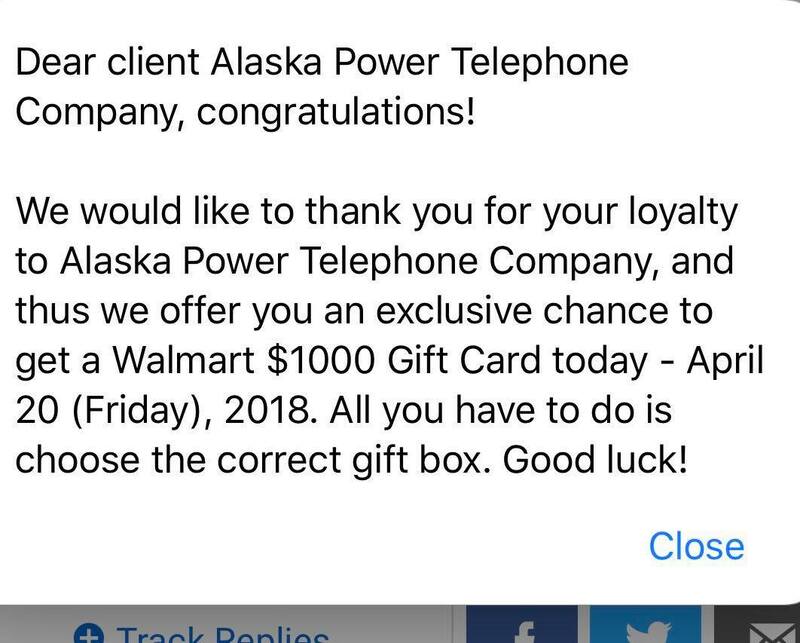 THIS IS NOT LEGIT - PLEASE DO NOT RESPOND TO THIS TEXT!! !